The insulators of lines & equipment’s are contaminated due to dust, birds droppings, chemical pollution, Saline weather etc. The contaminated insulators are susceptible for flash over during humid atmosphere, dew or foggy weather etc. hence need to be cleaned. 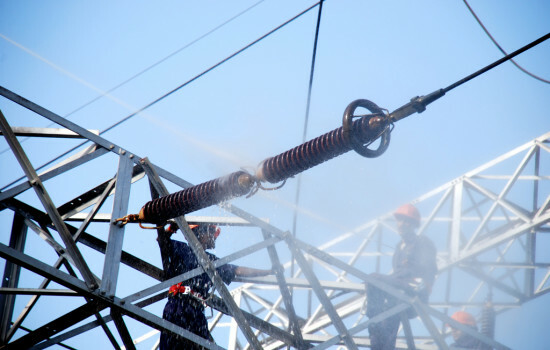 The contaminated insulators can be cleaned by hot line washing method for voltages including 400 Kv level. Ramelex Pvt. Ltd have developed their own hot line washing system for washing of insulators of EHV lines & substations. 1) No outage, so no interruption to consumer. 4) Contaminated disc insulators can be cleaned by hot line washing which avoids breakdown & failure due to insulator flash over.